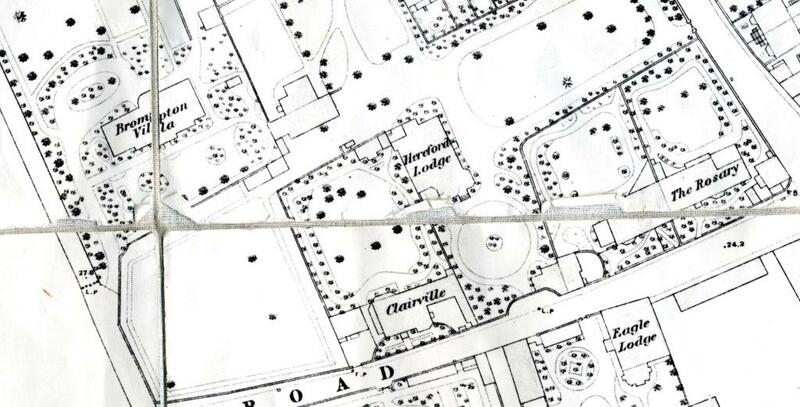 If you were an estate agent working in the early decades of the 19th century the area around the village of Old Brompton would be a prime territory for you. 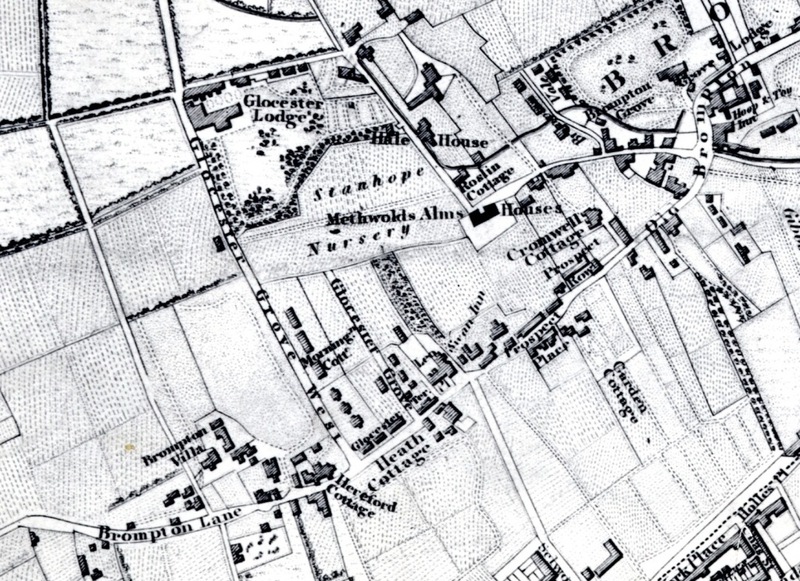 It was still a nearly rural spot, of quiet roads, market gardens, nurseries, cottages and inns. There was plenty of land available for development, whether the customer wanted a family sized cottage or a suburban villa. Or even something grander. 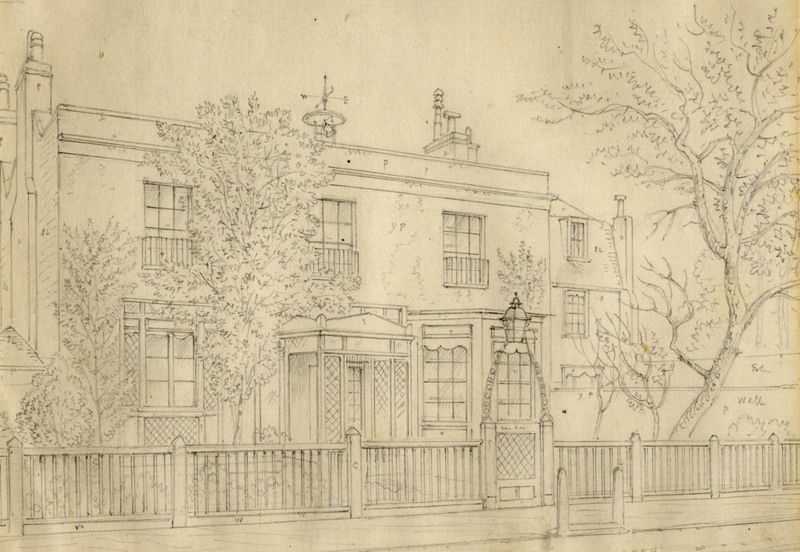 Where Brompton Lane curved south to meet Gloucester Grove there were houses to suit every kind of buyer. Cowen country as we like to call it. Looking for a place for you, your wife, your four daughters and your servant? What about Hawk Cottage? This detached residence built in 1802 is located in a secluded part of the neighbourhood. There is a secure walled garden where you and your family can enjoy the pleasures of the country free from disturbance. Perhaps you are looking for something a little less modest? This exceptional three storey 1770 property is set well back from the main road. It has nine bedrooms, two dressing rooms, a drawing room, a breakfast room, a kitchen, a larder and cellars. There is a coach house with space for two coaches, an extensive kitchen garden, cow house and piggery. This would be ideal for a large family and staff, or a small religious cult looking for privacy. 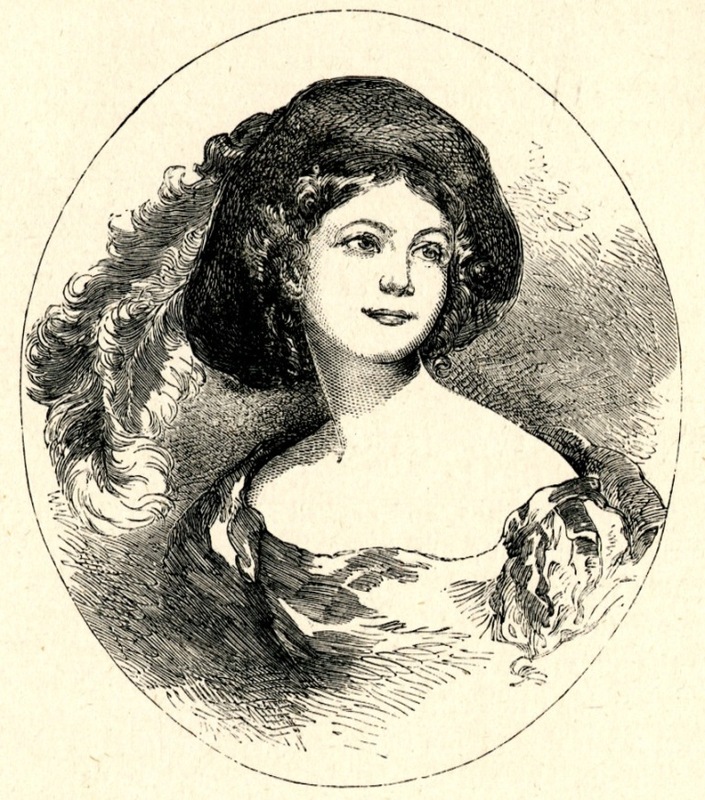 It was the home for a while of the celebrated poet Laetitia Elizabeth Landon. 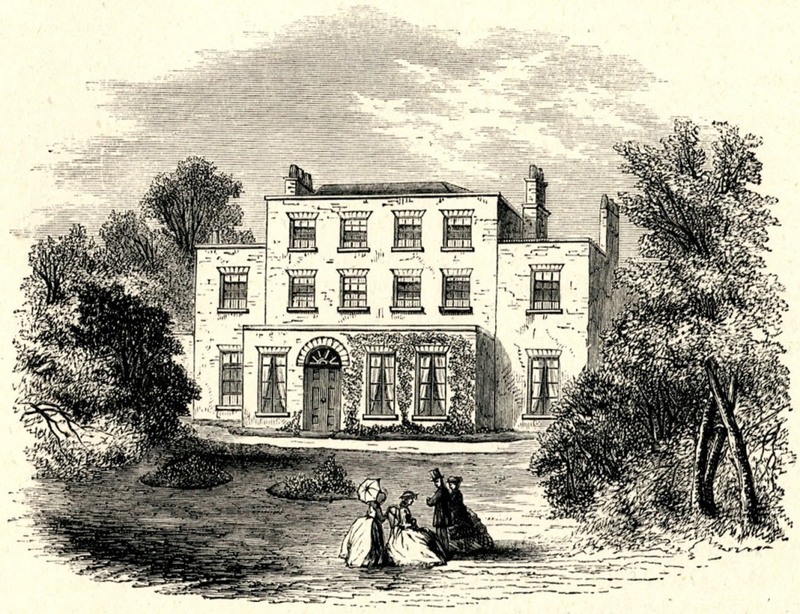 The estate owner has also provided some houses on the Old Brompton Road. 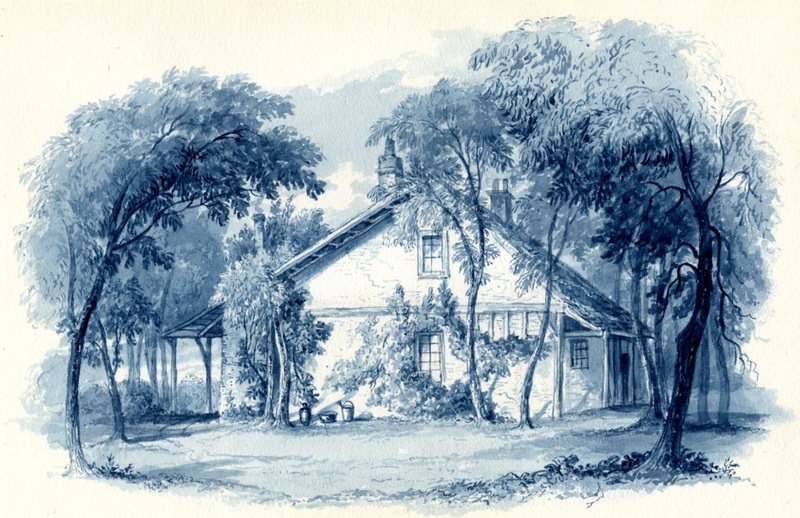 This 1774 house known as the Rosary is the home of Samuel Carter Hall and his wife the novelist Anna Maria Hall, author of such works as Midsummer Eve. The single storey gothic wing was added by Mr Hall as a library. This view may show the author at work. 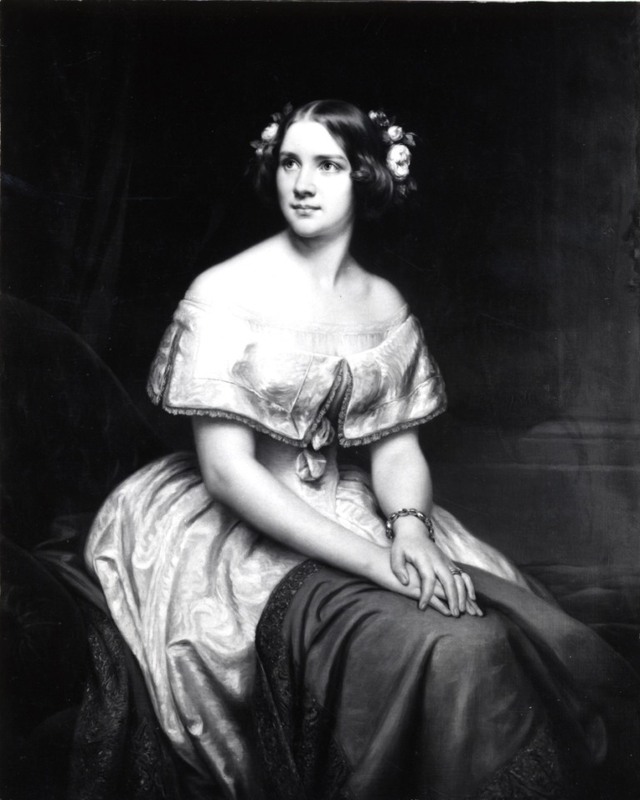 Other artistic residents of the area include the Swedish Nightingale, Jenny Lind. 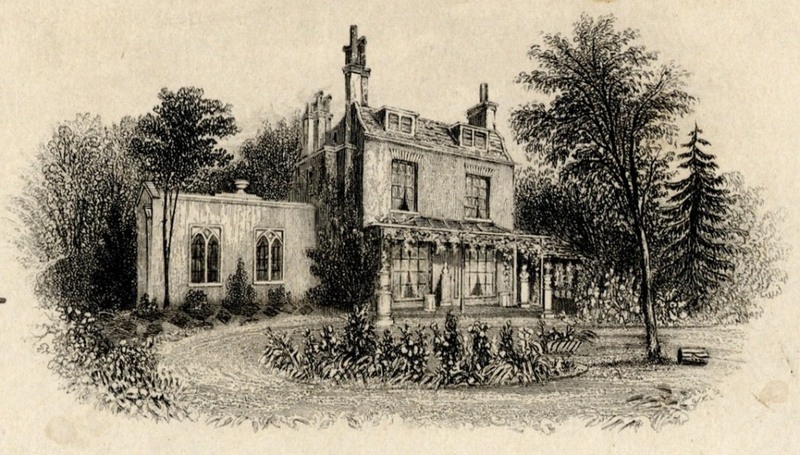 The famous singer’s longest residence was further west along the Old Brompton Road but she lived for a time in the nearby villa “Clareville”, depicted below in a sketch by Mr Thomas Hosmer Sheppard. Rosalind, or Roslin Cottage is the house in the foreground. It is convenient for the White Hart Inn. In the distance is Vine Cottage, an equally substantial small family house with all modern facilities. 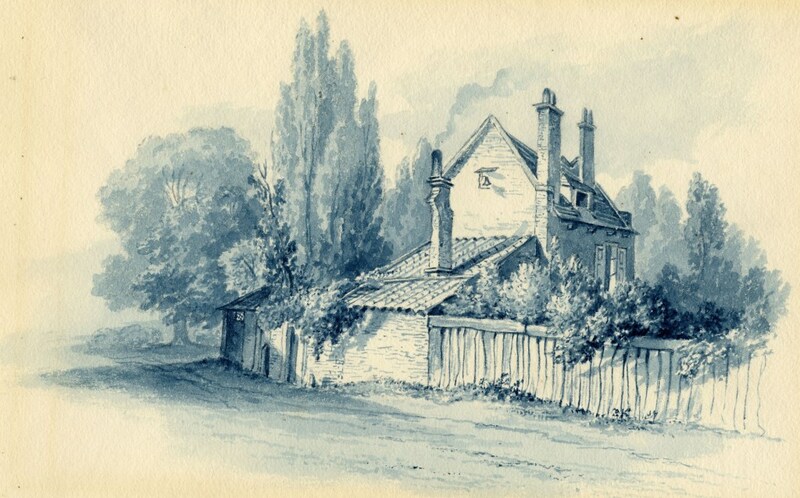 If you continue along the lane you pass the venerable Hale House (not one of our properties I’m afraid) and turning left find the exceptional residence called Gloucester Lodge here depicted once again by the skilled hand of Mr Sheppard. 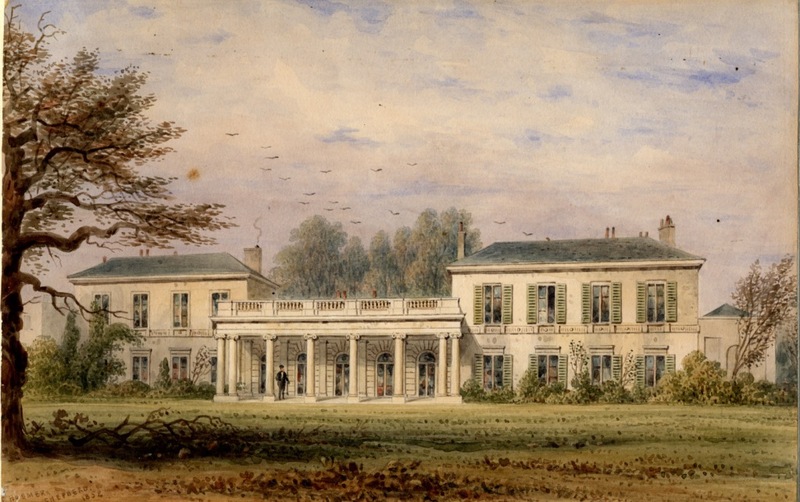 This grand house with its colonnades was the home of the respected politician Mr George Canning. Turning southward again, and recently on the market is Mr Rigby’s Cottage. This charming rustic retreat is in need of some renovation but for the right buyer has great potential. 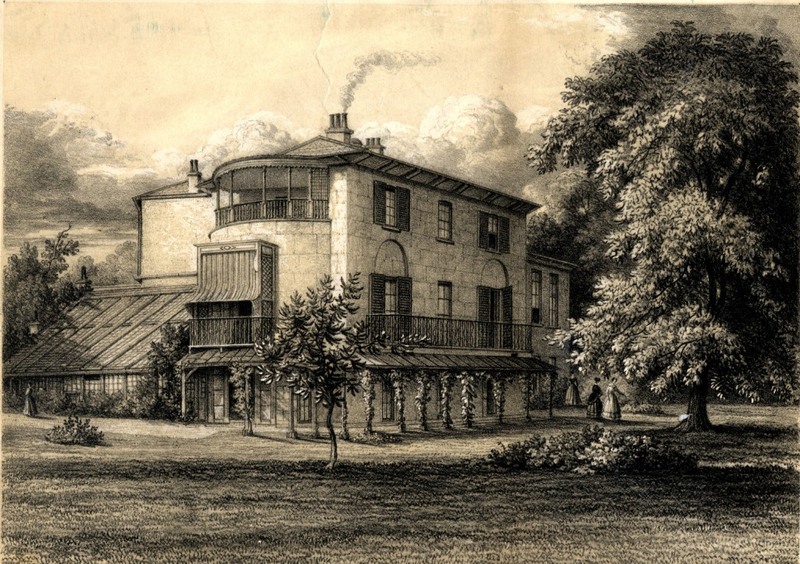 An advertisement of the house for sale in 1820 noticed its extensive aviary and conservatory, the ‘high condition’ of the plantations and the ‘particularly beautiful and diversified views’ enjoyed from the house. This shows the severest style of the Regency set off by rustic verandahing and an elaboration of sun-shades and trellis-work around the great west facing bow, evoking the fierce suns of a still crescent empire rather than umbrageous Brompton. We would argue with the term umbrageous. The area enjoys bright weather for much of the year particularly in the salubrious grounds of Cresswell Lodge. The house is currently a school for young ladies. The head mistress Mrs Burchatt, her sisters and their five staff instruct up to 17 girls, particularly excelling in mathematics and French. We are currently negotiating with her with a view to converting the house into a small number of luxury apartments. We have established a small office for prospective clients. 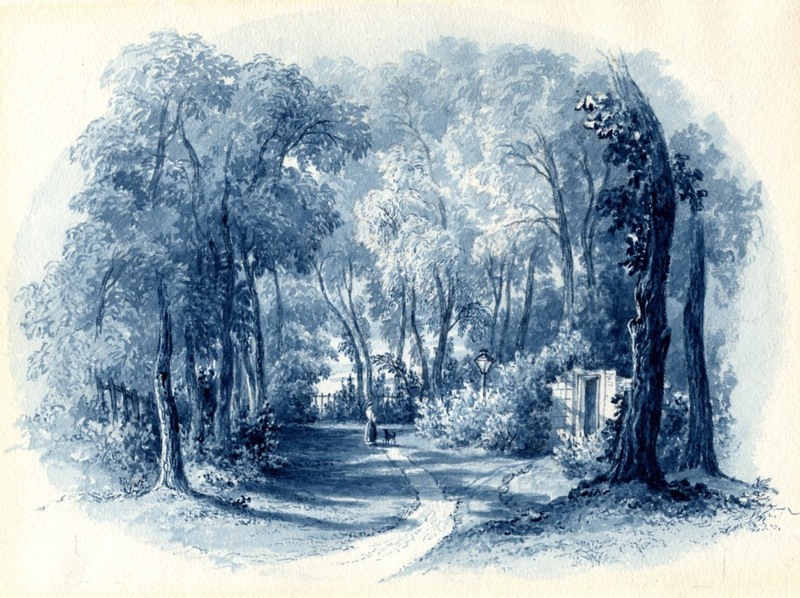 The house is located off the main road behind Hawk Cottage accessed by this picturesque avenue. If you can find your way back to 1842 our office manager Mrs Collins will be pleased to see you. 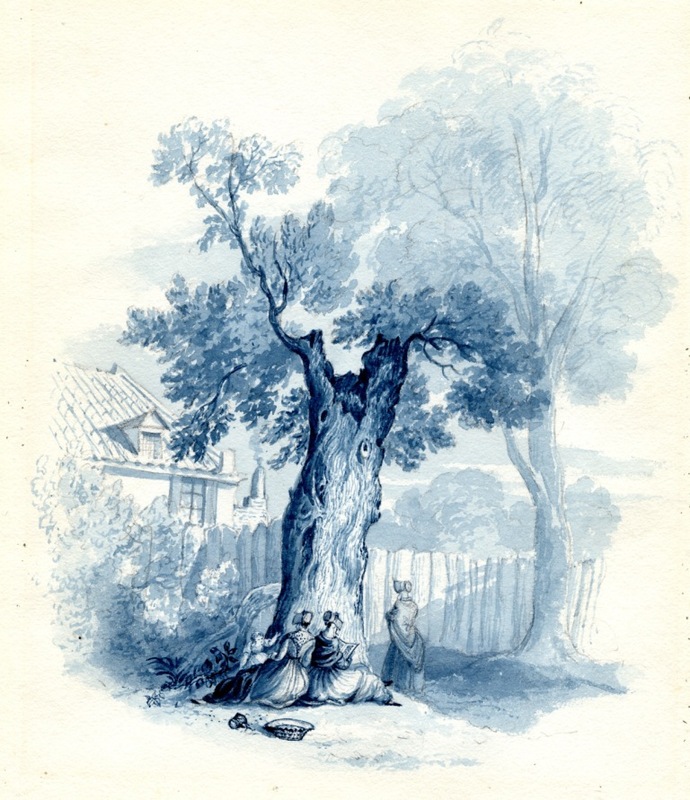 Indigo wash water colours by William Cowen. 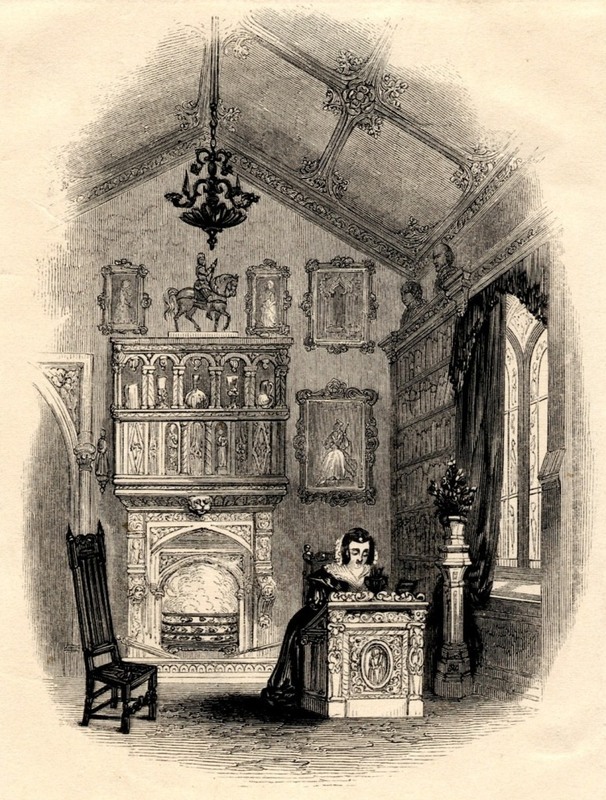 Pictures of the Rosary and Brompton Villa from S C Hall’s A book of memories (1877). 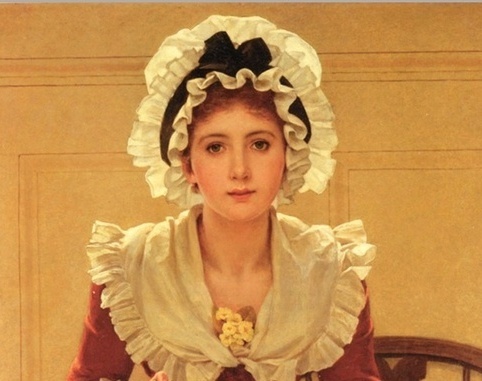 The final picture is a detail from a painting by George Dunlop Leslie. 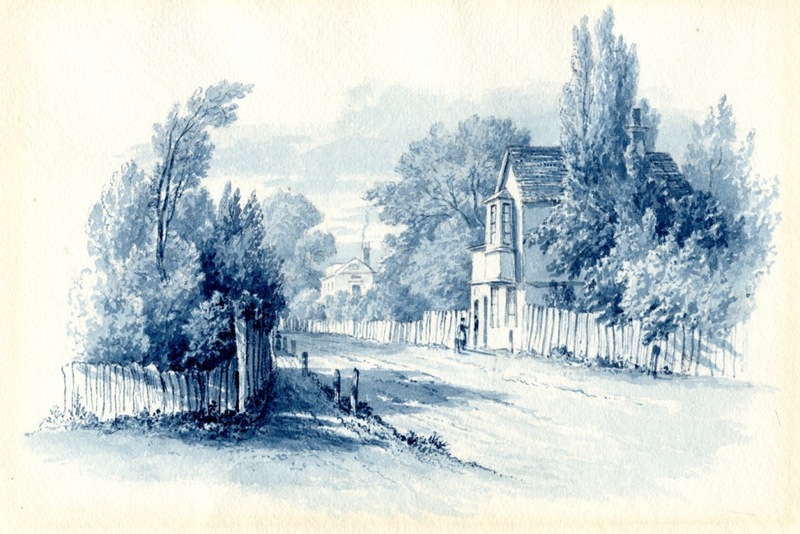 This entry was posted on Thursday, October 17th, 2013 at 12:07 am	and tagged with Anna Maria Hall, Brompton, Brompton Villa, Cresswell Lodge, Gloucester Lodge, Hawk Cottage, Jenny Lind, kensington, Laetitia Elizabeth Landon, Old Brompton Road, Samuel Hall, The Rosary, William Cowen and posted in 19th Century, Brompton, Kensington, Painting. You can follow any responses to this entry through the RSS 2.0 feed. Hilarious Dave. That you for that. If only we really could step back in time like that!